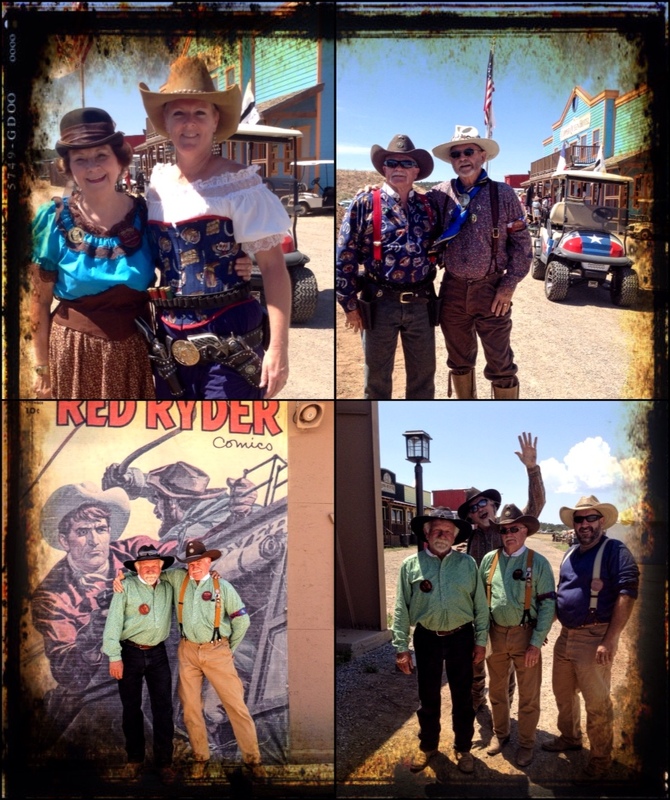 The 'town' has filled with more cowboy's and cowgirl's from all around the world, ready to test their skills and compete for their World Championship ranking. This year there were 17 from Australia, 7 from New Zealand, at least 2 from the Netherlands and Canada, and a few from Germany. My apologies if there were more from other countries. The match this year 'A Tribute to Clint Eastwood' westerns. 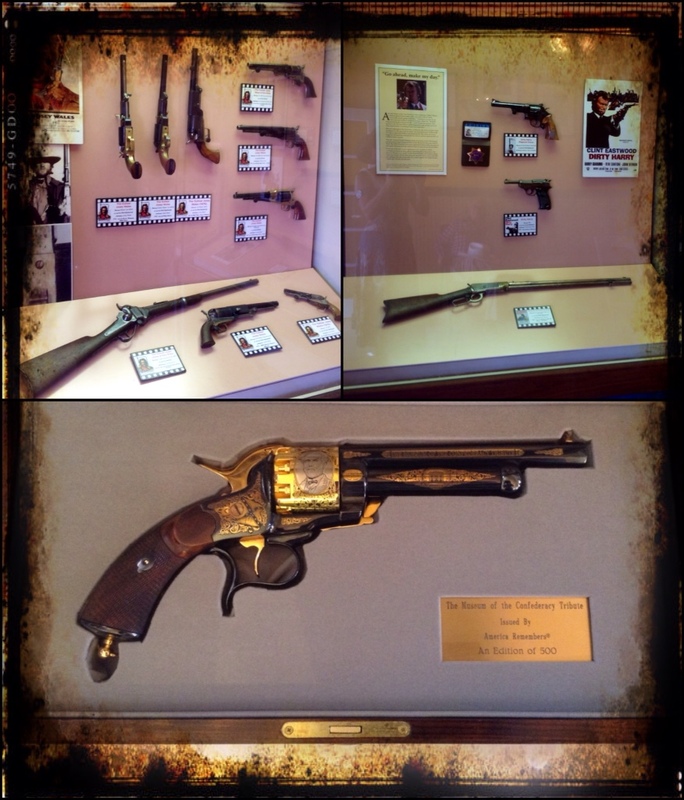 The NRA Firearms Museum had a fabulous display of all guns used by Clint Eastwood in films or by others in films he had directed. Such a neat display! EMF Firearms also had some excellent firearms and a beautiful piece fully engraved and gold plated from The Museum of Confederacy Spirit – an edition of 500. Thursday was a great start to the main match, starting on the late wave with Posse 29. 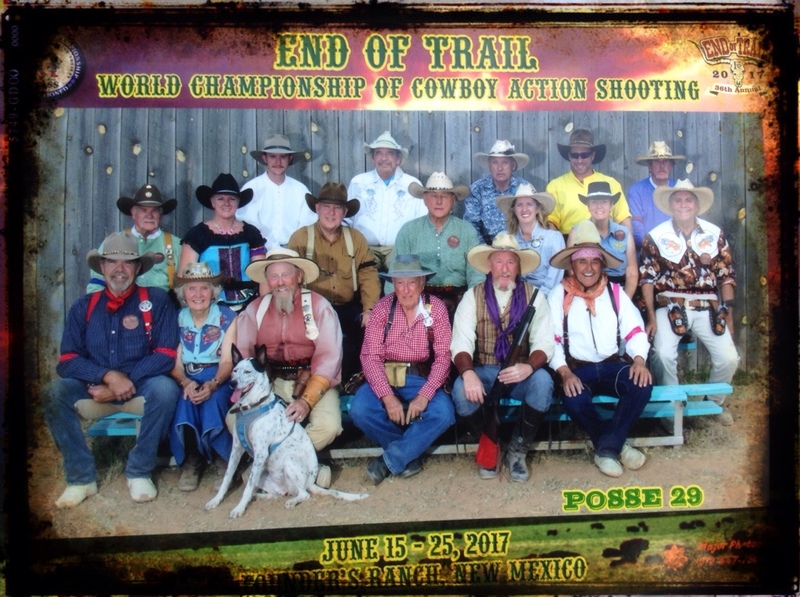 On our posse led by Shamrock Sadie, we had Knot Hardly Dunn, Christian Mortician, Trail Bandit, Randy Saint Eagle, Papa Dave, Reno Mustang, Dodge City Dixie, Wild Horse John, Trigger Happy Ted, Misty Rider, Avery Wade, Tombstone John, Red Johnson, Pancho Sin Lefty, Lucky Boy, Jackaroo and of course me, Kathouse Kelli. Most of the week but particularly Thursday and Friday were hot! Think the statistics for this year's match was 1800 gallons of water (?) and this one I do remember 97 gallons of Gatorade. A personal thanks to Dusty Garnet and EZ-GZ for your medical aid and driving up and down the range keeping everyone hydrated, to the rest of the waddies for keeping the water containers constantly topped up. Even though we always have some with us, it's never enough and we so appreciate it. Side match awards were held on Friday night in the main tent and I must say again thanks to Santa Fe Brewing Company for sponsoring SASS, the bar was frequented often. Congratulations to all side match winners. I picked up one for the .22 pistol – thanks Dixie Bell for allowing me to use yours! It was a great mix of side match winners this year! Saturday we had the early shift. With an overcast sky and much cooler temperatures it made for a pleasant start of the final shooting day. All wrapped up! What's done, is done now and Sunday would see what the outcome would be. 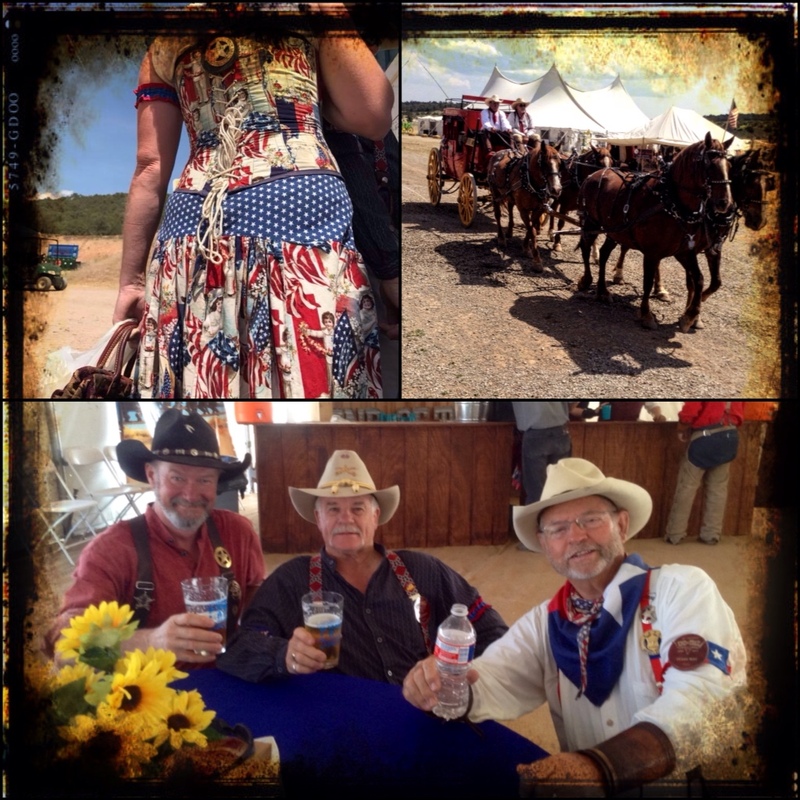 Saturday evening for the banquet and best dressed costume contests started well. 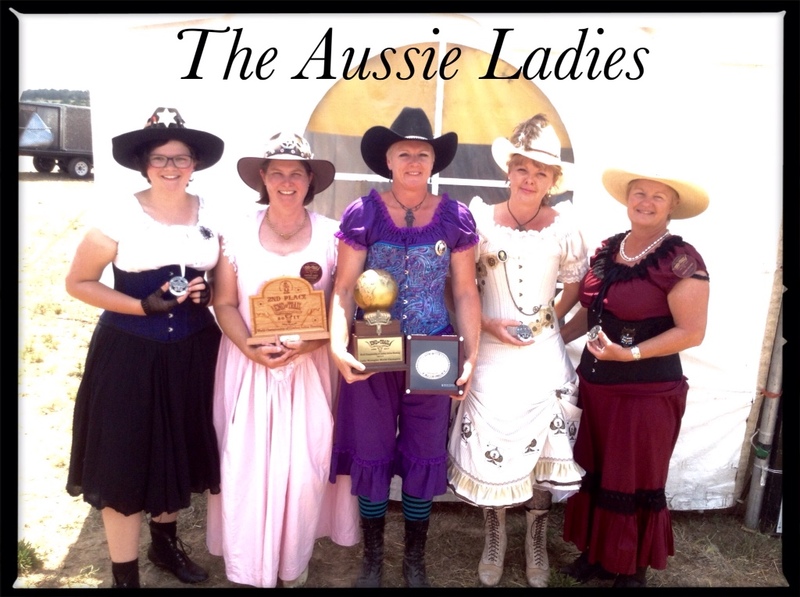 There were some sensational entries this year with myself, Texas Flower, Shotglass and Dixie Bell placing in the Best Dressed Ladies. Jack had entered his first costume contest ever as Thomas Durant (Hell On Wheels, S4, Ep1) but I should have had him in the Silver Screen category. 😦 Never mind, he did a great job, we just need to get the right hat sorted for him and he will enter again. Got Artie from Major Photography to work his magic and subsequently he has this amazing photo now. After the costume contests were done and the band was on, it was a quick change up and Mary-Lou July made her first solo appearance at EOT. She said she'd been to the Doily Gang Clinic, had her own badge and she had learnt some gun twirling skills from Lightning Buck McGaw (learnt that and practiced in 2 afternoons). 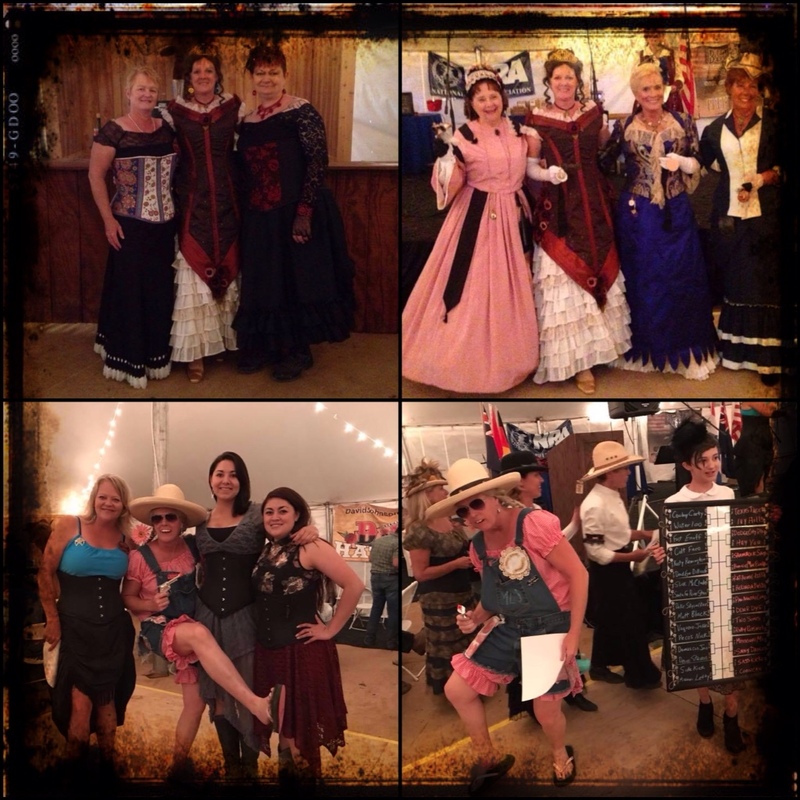 Mary-Lou July helped out Sassy Dancer, Shamrock Sadie, Ruby Jewel and Hey You with the announcements of the Top 8 Mens and Ladies Wild Bunch and Top 16 Cowboy's and Cowgirl's for the shootout. The band played, Mary-Lou danced and danced. 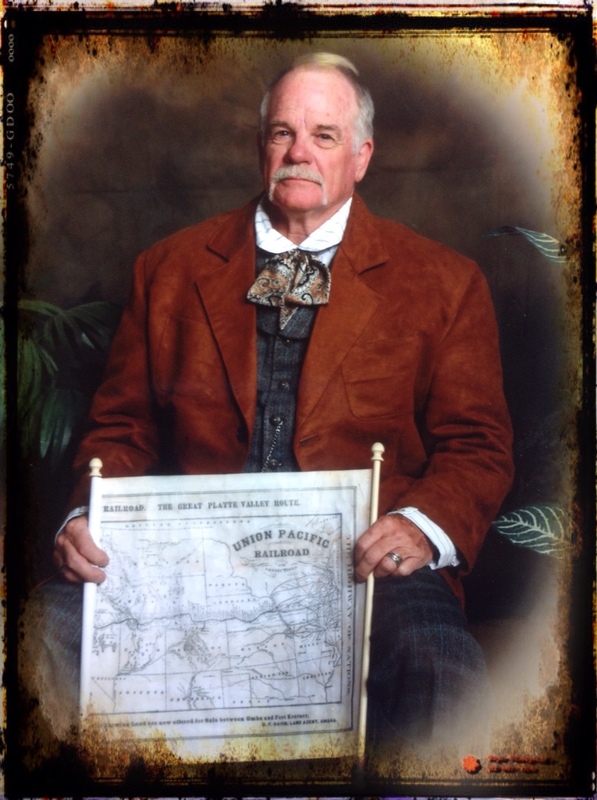 People had a great time, Jack was busy trying to sell land plots as his Thomas Durant persona and having a few drinks at every stop I'm guessing. Haa Haa Haa! Got him home, just before midnight and I think he had the best nights sleep he'd had in a long time! Shootout took place Sunday morning. 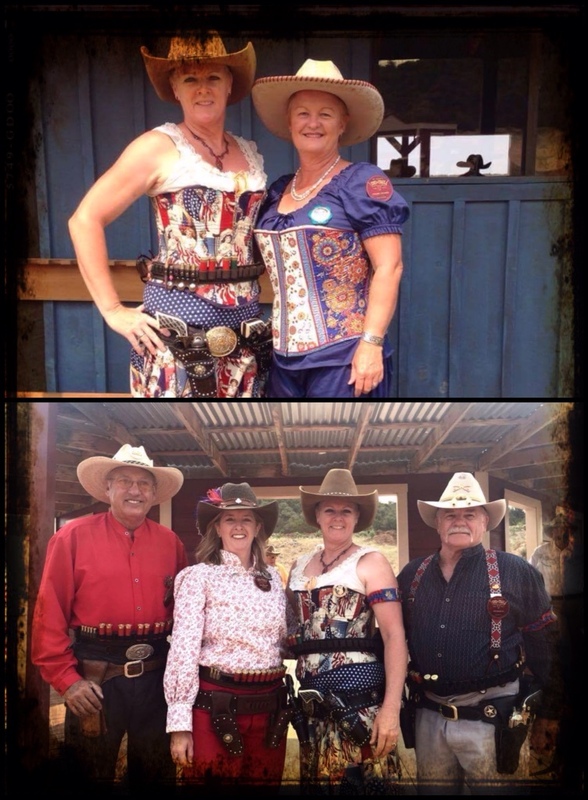 R C Shot from QLD, Australia made it in the Wild Bunch and I made it into the Cowgirl's. We used a magnetic board this year, with Sadie and Sassy having done most of the work on this one, it was fantastic, everyone had been randomly drawn and paired up the night before when announced. Then as each one dropped out we could re pair them for the next round and everyone could see who was shooting against who. Down to the nitty gritty and it's a huge congratulations to all who placed in their respective categories! 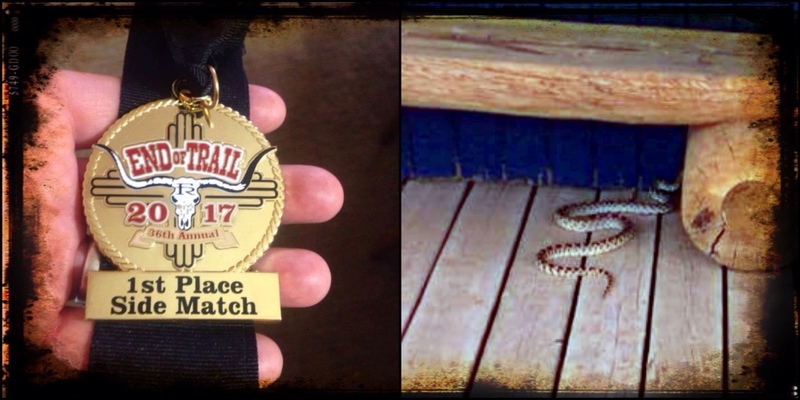 Clean Match – Sam Balin, Chuck, Ex Sighted, The Trapper from Oz. 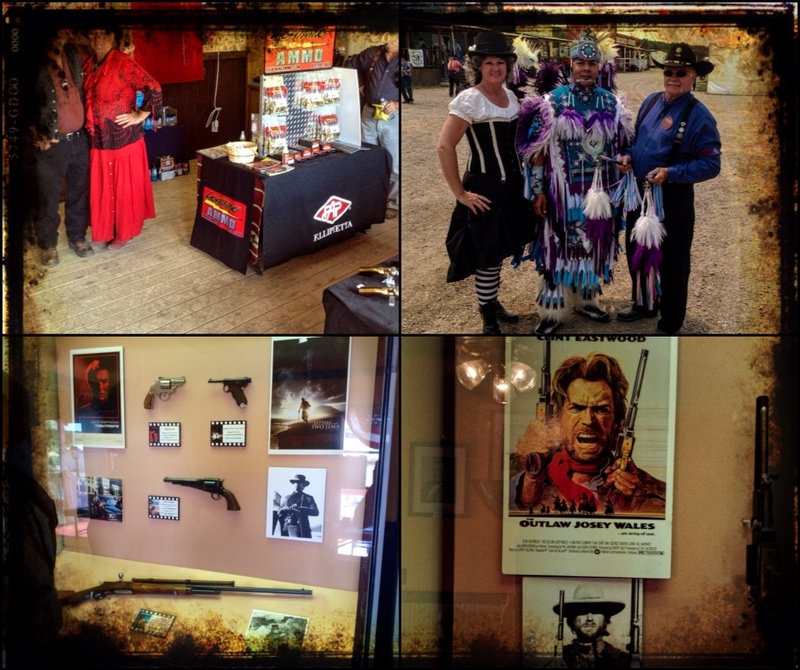 Posse Spirit of the Game Award – Chuck, Deadwood Gunslinger. Category Placings – KT, 4th Place Junior Girls. Sam Balin, 3rd Place Silver Senior Duelist. RC Shot, 6th Place Wrangler. Kathouse Kelli, 1st Place World Champion Lady Wrangler. Ex Sighted, 6th Place Lady Wrangler. 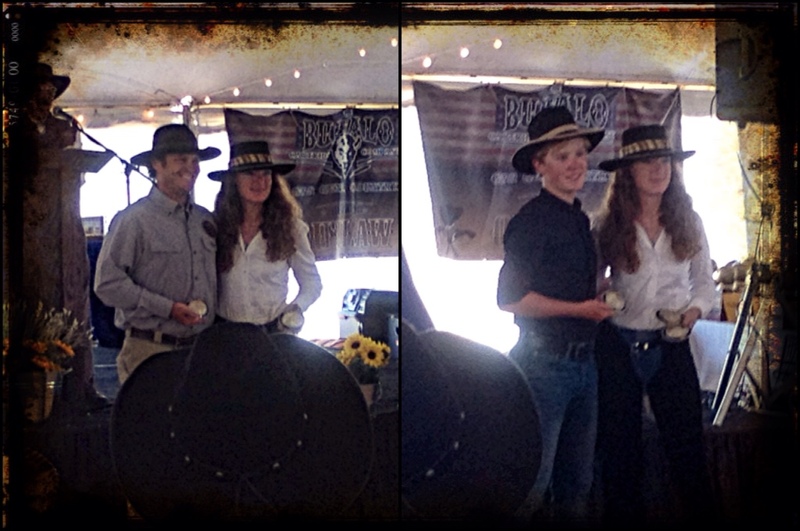 Sister Sarah Carnegie, 2nd Place Lady Gunfighter. Pearl Starr, 7th Place Lady 49ers. Chuck, 7th Place 49ers. Jackaroo, 5th Place Silver Senior. Category Placings – Grady County Kid, 4th Place Buckaroo. Roadrunner, 4th Place Frontier Cartridge Duelist. Lady Roadrunner, 10th Place Lady 49ers. Greenhill Bart, 4th Place B-Western. Deadeye Dillard, 3rd Place Cowboy. Jackaroo, 5th Place Silver Senior. 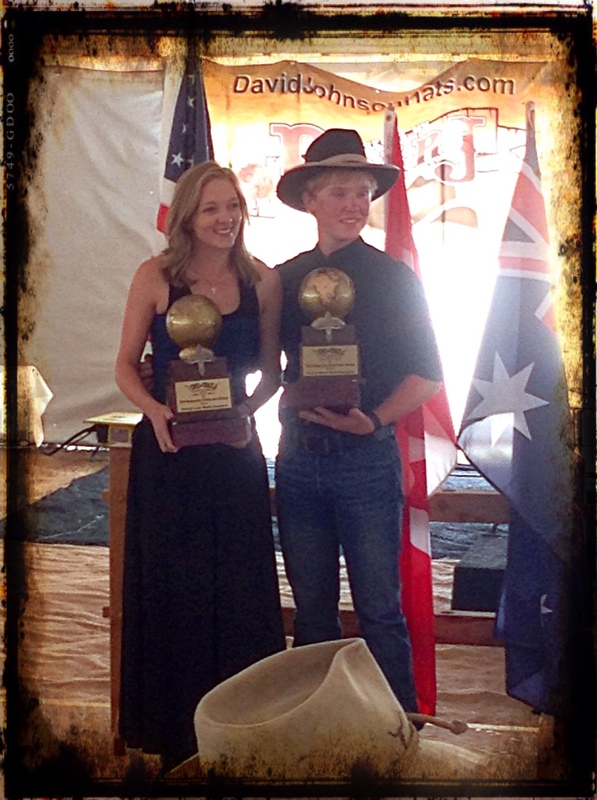 Three, yes three World Champions – Kathouse Kelli, 1st Lady Wrangler. Missouri Mae, 1st Lady 49er. Roy's Creek Dan, 1st Senior. Congratulations to the 2017 World Champion overall winners – Matt Black and SASSkicker! Thanks must surely go to Lassiter and Deuce Stevens for a great match, to SASS, the Wild Bunch, Misty, the girls and just everyone who helps 'git er done!' Sensational work as always. That's it…..goodbyes are said, tears are shed, friends will be missed. Safe travels to each and everyone know matter how far you came. This entry was posted in Lifes a Dance, Love My Life, SASA, SASS and tagged Australia, awards, cowboy action shooting, Edgewood, friends, Historical Sewing, Hot Tamale's, Moriarty, New Zealand, NM, Oklahoma, SASS End Of Trail, Single Action Shooting Australia, Single Action Shooting Society, Sunset Motel, The Territorial Marshal's, top 20, United States of America, USTrip, Victorian Costume Contest, Warm Up Match, Wild Bunch Match, World Championships. Bookmark the permalink.